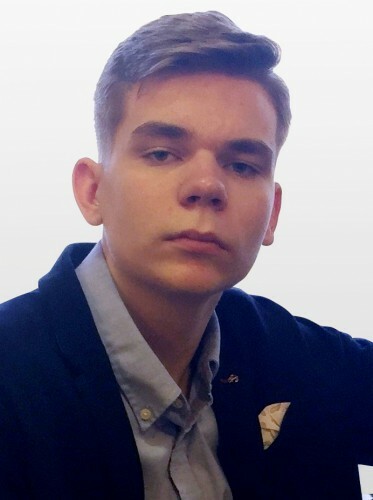 Born in 1999 in St.Petersburg. He is studying currently at the Special Music High School of Rimsky-Korsakov St Petersburg State Conservatory (class of Zora Zuker). 2011 – winner of the International Competition fo young pianists "St.Petersburg Christmas Assemblies". 2013 – Grand Prix winner of the XIII International Piano Competition (Paris). Winner of the Moscow Neuhaus Piano Festival. 2019 – winner of the International Robert Schumann Competition Düsseldorf. Performs solo and with orchestra. Performs at the venues of St. Petersburg, in the cities of Russia, in Germany, Switzerland, Great Britain, Slovenia. Participant of the Kissinger Sommer Music Festival (Germany, 2013, 2014).